With the grand opening of Cycle Club Amsterdam this month and the Tour de France setting off from Utrecht in July, Rapha are proud to introduce a new publication. 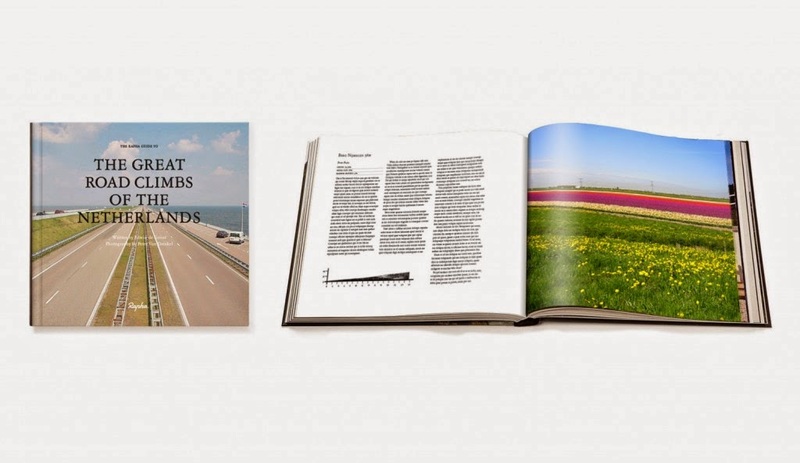 The Rapha Guide to the Great Road Climbs of the Netherlands is a uniquely unique niche cycling guide to the great cols of the Netherlands. Inspired by Admiral Francis Beaufort, the author – Edwin de Groot – combines careful meteorological research with a blustery narrative style, supported by beautiful photographic portrayals of the imposing landscapes taken by Peter Von Drinkel. It gives persuasive encouragement – if you needed any – to visit. Ja, dit is gewoon wat luchtig vermaak, dus wees niet beledigd. En natuurlijk, je kunt dit lezen, dus je weet wat er aan de hand is.